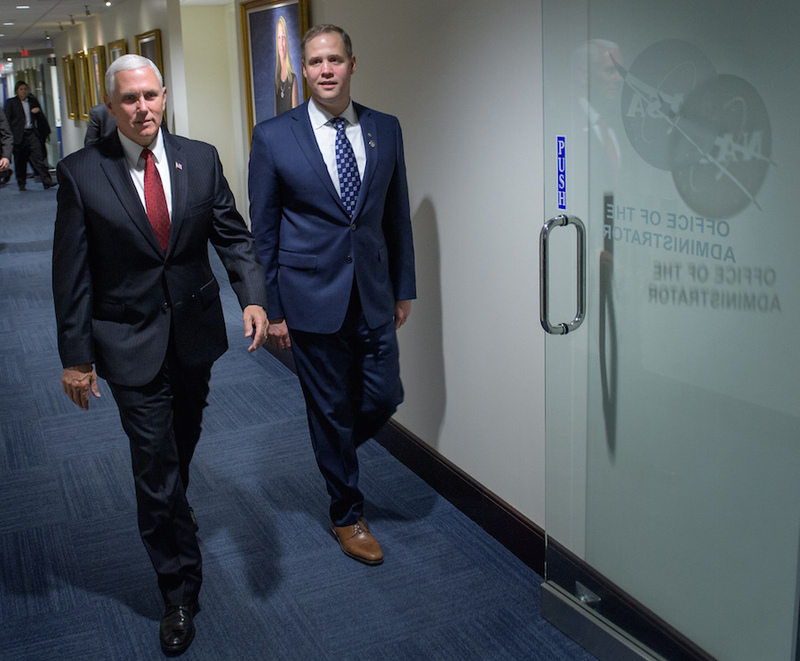 Oklahoma Republican Rep. Jim Bridenstine resigned from the House of Representatives Monday and was sworn in as NASA’s 13th administrator by Vice President Mike Pence, chairman of the recently revitalized National Space Council. 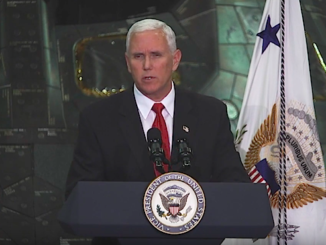 “Last December, President Trump … signed the first set of National Space Council recommendations under Space Policy Directive 1,” Pence said during a brief ceremony at NASA Headquarters in Washington. Bridenstine, with his wife and three children looking on, said he looked forward to implementing President Trump’s national space policy, which calls for ending full government support for the International Space Station in 2025, continuing development of commercial crew ships and focusing on returning astronauts to the moon and, eventually, Mars. Ted Cruz, R-Texas, and Kellyanne Conway, counselor to President Trump, joined several dozen reporters and NASA personnel at agency headquarters in Washington for the ceremony. 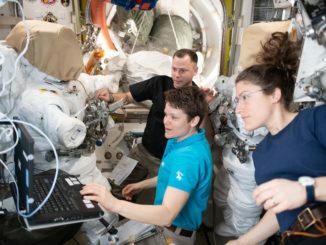 After Bridenstine was sworn in, the two men took a few moments to chat with three American astronauts aboard the International Space Station, who sent along their “hearty congratulations” to the new administrator. Bridenstine resigned from the House of Representatives earlier Monday. He takes over NASA from outgoing acting Administrator Robert Lightfoot, a career NASA engineer-manager who ran the civilian space agency after its previous administrator, former shuttle commander Charles Bolden, retired in the wake of the 2016 presidential election. A former Navy pilot, Bridenstine majored in economics, psychology and business at Rice University and holds an MBA from Cornell University. During his Navy career, he accumulated 1,900 hours flying time and 333 carrier landings flying E-2C Hawkeye turboprops and, later, F-18 Hornets before leaving active duty to serve as executive director of the Tulsa Air and Space Museum & Planetarium. He was elected to represent Oklahoma’s first congressional district in 2012, serving on the House Armed Services Committee and the Science, Space and Technology Committee. 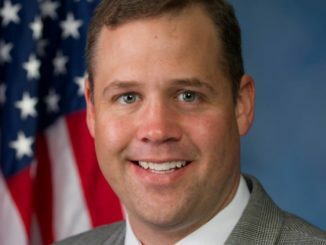 He is the first politician to be named NASA administrator, and his lack of professional space experience and technical education prompted criticism from Democrats. He also was criticized for strong partisan positions and questioning human contributions to climate change, putting him at odds with many NASA scientists. He was nominated by President Trump to lead the agency last September and was finally confirmed, by a single vote, last Thursday.